What Types of Accounting Jobs Are Available in Law Enforcement? The combination of an enjoyment of working with numbers and making a difference in the community, whether local or worldwide, may lead some future accounting professionals to consider what types of accounting jobs available in law enforcement might be the right fit. Whether looking to perform the daily functions of CPA or looking to take part in investigations, there is an opportunity to fit almost any interest and background. Like other agencies, organizations, and companies, law enforcement departments from the local level to national and international organizations are in need of qualified accountants to handle a number of financial operations. Accountants perform a number of valuable functions, including monitoring financial activity, performing analysis of financial data, handling reconciliation of profits and expenditures, and generating various reports. Within law enforcement departments, accountants may also be involved in making financial recommendations, handling payroll, internal auditing, and a variety of other tasks. Additional information on the tasks and descriptions of the accounting profession can be found at the National Society of Accountants website. Another area of accounting in law enforcement that is increasingly in high demand in many agencies and departments is forensic accounting. Forensic accounting professionals are integral in investigations that involve money and financial activity, and a number of different types of law enforcement agencies depend on these professionals to aid in the investigations of everything from gang activity to cases of fraud. Forensic accountants might work for local or state law enforcement agencies, but there are also opportunities to work with national law enforcement organizations such as the FBI. For any of these agencies, forensic accountants will employ a diverse set of skills to assist in investigations, create court reports and give testimony, conduct interviews, track funds and transactions, and gather evidence. To successfully perform these tasks, a forensic accountant in a law enforcement agency must have accounting knowledge as well as investigative, auditing, technical, and communication skills. Another option for forensic accounting professionals to consider is to become a part of the criminal investigative unit of the IRS. This branch of the IRS is the only federally sanctioned organization that is allowed to investigate possible cases of tax evasion and tax fraud relating to the IRS tax code and federal tax laws. Special Agents in this department are not only trained accountants, but they are also trained law enforcement agents, carrying weapons and handling various tasks of investigation and interrogation. Forensic accountants in the Criminal Investigation Division of the IRS are responsible for identifying potential cases of fraud, and they are also a part of the investigation and prosecution of these cases. Often, the use of forensic accounting is the start to prosecutions related to narcotics cases, money laundering, gang activity, organized crime, and other criminal activity beyond tax evasion or fraud. 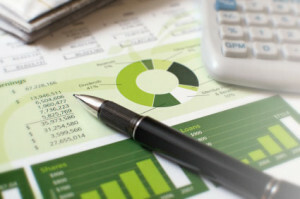 Whether an individual is interested in working on the daily operations of a local city police department, investigating the financial activities of a criminal organization with the FBI, or prosecuting a high profile criminal for tax evasion, accounting skills can be the pathway to an exciting career. With an education and experience in the field, professionals have many options for types of accounting jobs available in law enforcement.